Netflix UK subscribers will be excited to learn that a selection of new anime related titles have been added to the subscription-based video-on-demand streaming platform during the past week. In this case Beyblade Burst (added 1st October 2018), Forest of Piano (added 28th September 2018) and Violet Evergarden Special (added 4th October 2018) have been added to the streaming platform. 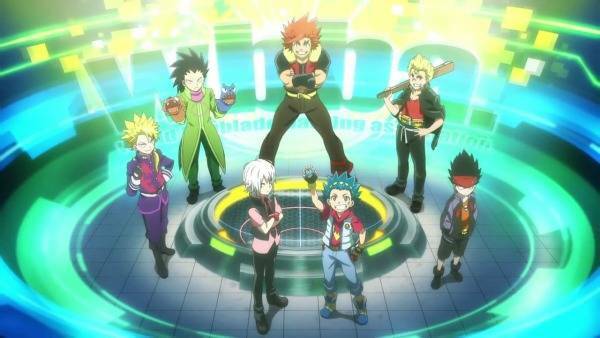 Beyblade Burst [English]: Middle schooler Valt Aoi, with his Beyblade Valtryek, faces off against friends, classmates and rivals to become the world’s number one Blader. Forest of Piano [Japanese & English]: Kai grows up playing an old piano discarded in the woods; Shuhei’s father is a famous pianist. Their chance meeting transforms their lives and music. Violet Evergarden Special [Japanese & English]: Auto Memory Doll Violet Evergarden writes letters for people who can’t, learning about her war-torn country and her own hardened heart along the way. As per usual in order to view any of these titles, as well as Netflix’s ever-expanding selection of anime titles, a valid Netflix UK subscription is required along with a valid internet connection.